Eight ways the world would change without UNICEF. More than seventy years later, UNICEF is much more than an emergency fund. It's a global network active in 190 countries and territories — more than any other children's aid organization. It's thousands of staff and volunteers who work with governments and local organizations to protect children from danger. It's millions of donors determined to do their part for children growing up in crisis and poverty. And UNICEF is children everywhere standing up for their rights, fighting for their futures and creating change in their communities. But what if we didn't exist? UNICEF believes no child should die of a preventable disease. That's why we provide vaccines for 45 percent of the world's youngest children every year. In 2016, that meant 2.5 billion vaccines reached children in nearly 100 countries. UNICEF's huge buying power makes vaccines cheaper so we can reach more children in more places. As part of GAVI, the Vaccine Alliance, we helped reduce by half the price of the pentavalent vaccine, which protects children against five potentially deadly diseases: diptheria, tetanus, pertussis (whooping cough), hepatitis B and Haemophilus influenzae type b (Hib). These incredible savings make vaccines affordable for lower-income governments and make every dollar donated to UNICEF go even further. In 2016, we saved $588 million on vaccines through strategic planning and negotiation. UNICEF's work goes beyond buying vaccines. With partners like the World Health Organization, we help governments and communities vaccinate children who would go without — children in remote villages, behind battle lines and in places devastated by natural disaster. It's only possible through a huge, global network of health workers and volunteers championing vaccines in their own villages and cities. 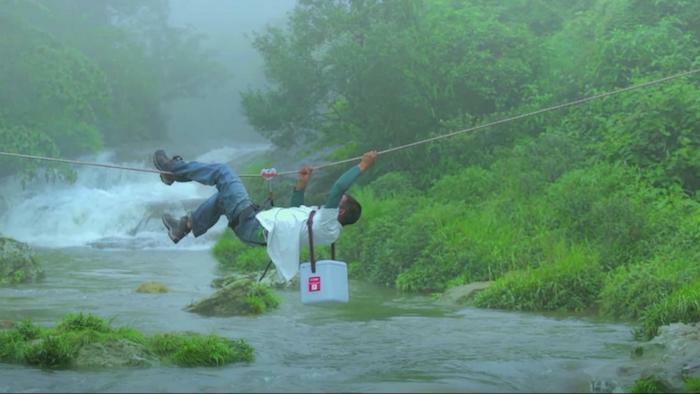 Without training and supplies, these local heroes couldn't protect children in their own communities from disease. 2016 saw the smallest number of children paralyzed by polio in history. That year, UNICEF deployed more than 17,000 full-time community vaccinators — most of them women — in the parts of Pakistan most at risk. These areas then recorded the highest immunization coverage in the country's history. But if a generation of children grow up without a safe place to learn and play, they'll never become the teachers, doctors and engineers who will rebuild a peaceful community. UNICEF makes sure more of the world's children learn than any other organization. And children in crisis deserve the right to education just as much as a child everywhere. In 2016, UNICEF reached 11.7 million children living through humanitarian emergencies with basic education and more than 3 million children with psychosocial support. Children growing up in Syria haven't given up on learning. In 2016, UNICEF and international humanitarian partners helped increase school enrollment in Syria by 8 percent, despite the huge obstacles presented by ongoing violence. We trained 6,017 teachers to make sure no child is left behind in class. And we helped 12,000 young people in rural and besieged areas take their high school exams and start writing a brighter future for their country. When back-to-back earthquakes rocked Mexico earlier this year, UNICEF was there, setting up and staffing child-friendly spaces, training teachers on how best to support traumatized students and delivering education and hygiene supplies where they were needed most. After 2017's unusually active hurricane season swept through the Atlantic and Caribbean, UNICEF provided emergency survival kits and clean drinking water in Puerto Rico, educational materials in Texas and humanitarian supplies and support to the hardest hit islands in the Caribbean. In 2015, two earthquakes in Nepal shook the ground so violently that thousands lost their lives. Survivors were faced with life-threatening conditions: safe water sources, hospitals, homes and birthing centers had been destroyed. Without a swift response, thousands more children could have been lost to preventable disease, treatable medical issues and horrific exploitation through trafficking. Luckily, UNICEF's response began on day one. We were ready with clean drinking water, shelter and supplies for families who had lost everything. We set up temporary hospitals, prevented outbreaks of disease and found children who had been separated from their parents in the chaos. Long after the earthquakes faded from global headlines, UNICEF continued working with children in Nepal. We kept saving lives by restoring water sources, supporting families through a freezing winter and helping communities prepare for future emergencies. UNICEF is the largest buyer of Ready-to-Use Therapeutic Food (RUTF), procuring an incredible 80 percent of the world's emergency supplies. If UNICEF didn't exist, hospitals, remote health clinics and mobile health teams would have gone without 33,000 tons of therapeutic food in 2016. And the 3 million children we helped recover from the deadliest form of malnutrition might not have made it. Khadija is one of those survivors. She was starving when she arrived at a UNICEF-supported hospital in Nigeria. Her arm was barely wider than her mother's thumb. "I fell sick myself and could not breastfeed," said Khadija's mother. 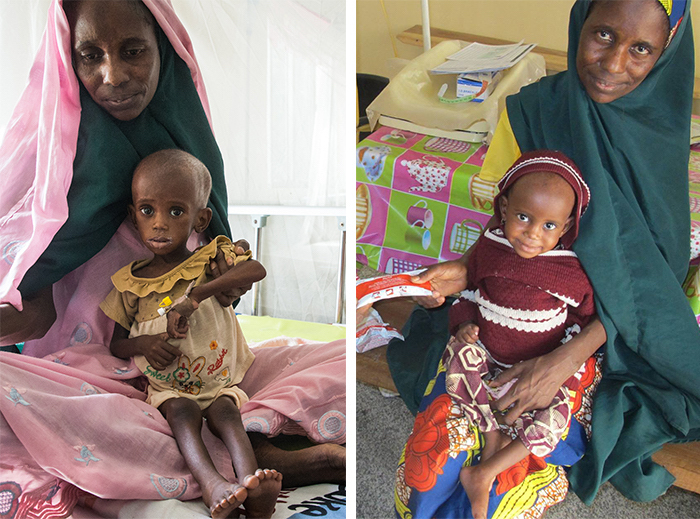 Twenty days of RUTF and medicine saved Khadija's life. She and her mother left the hospital with a supply of RUTF to use at home while she recovered. UNICEF has also made RUTF more accessible for everyone. About fifteen years ago, the world's supply of therapeutic food came from a single European manufacturer. UNICEF helped bring production into lower-income countries where children were in critical need. By 2016, UNICEF was working with 18 manufacturers and many partners, like the World Food Program. Chronic malnutrition among children reached a record low. In countries torn apart by conflict, UNICEF specialists have an unimaginably difficult job: negotiating with armed forces to set children free. Without them, the 21,000 children released from armed forces in 2016 might still be trapped in violent groups today. But our work doesn't end there. 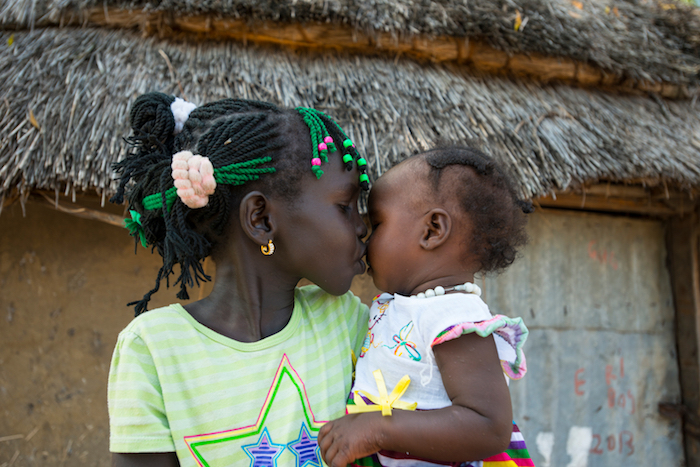 Once children are released, UNICEF helps reunite them with their families. Restarting lives in the community takes years. UNICEF is in it for the long run. 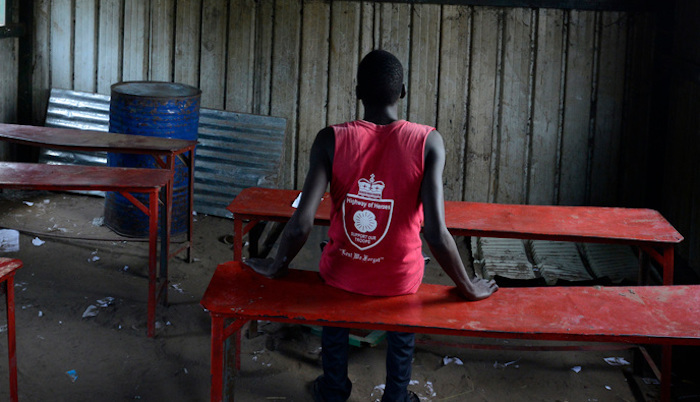 At the heart of these children's reintegration is their return to school. We'll support them through the process so education and their classmates can be sources of strength as they move forward with their lives. This hard work pays off. Without it, 21,000 children might not have been reunited with their families and caregivers in 2016, and another 33,000 might be alone in dangerous environments. Here's something UNICEF has learned through experience: problems that go unmeasured often go unsolved. If governments know which children are out of school and who is hungry, then they can act. And unless they collect data year after year, they won't know their impact. • During the Ebola crisis, UNICEF used SMS text messages to collect real-time data for the government in Sierra Leone. • In Syria, UNICEF helped 1,200 dedicated young volunteers run a massive door-to-door campaign to find out-of-school children, identifying barriers that kept them from school and then helping them return to class. • Mobile apps have helped school administrators in Burkina Faso, Lesotho and Papua New Guinea make informed decisions and provide quality learning to more students. Children's rights aren't an abstract concept. They're enshrined in the most rapidly and widely ratified human rights treaty in history: the United Nations Convention on the Rights of the Child. The treaty sets out every child's right to survive, develop and reach their full potential — no matter who they are or where they live. UNICEF is the only organization specifically named in the Convention on the Rights of the Child as a source of expert assistance and advice. That means that in every newspaper and in every government, UNICEF has a special role: championing the interests, opinions and rights of children. We help governments strengthen laws and policies for children and hold them accountable when they're leaving children behind. UNICEF's work for children has never been more relevant or more urgent. Conflict, famine, disaster and refugee crises threaten children's lives and futures every day.